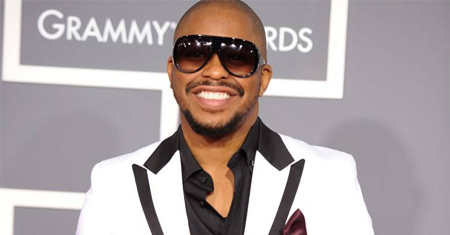 The son of jazz cellist Abdul Wadud, Maryland-based R&B vocalist Raheem DeVaughn kicked his career into gear after initiating a series of independent releases, aided in part by the cash reward earned from winning a talent contest. Jive became interested, signed him, and released The Love Experience in June of 2005. The album peaked within the Top 50 of the Billboard 200 album chart, with the singles “You” and “Guess Who Loves You More” regularly spun on some of the more adventurous R&B stations across the U.S. Love Behind the Melody followed in January 2008. Its first single, “Woman,” was his biggest hit yet and was nominated for a 2008 Grammy in the category of Best Male R&B Vocal Performance. A year later, “Customer” was nominated for Best R&B song. Led by the late-2009 single “Bulletproof,” featuring Ludacris, DeVaughn’s The Love & War MasterPeace — featuring much more socially conscious material than the average contemporary R&B release — surfaced in March 2010.